Boho Farmhouse in Somerset - a sanctuary of style! 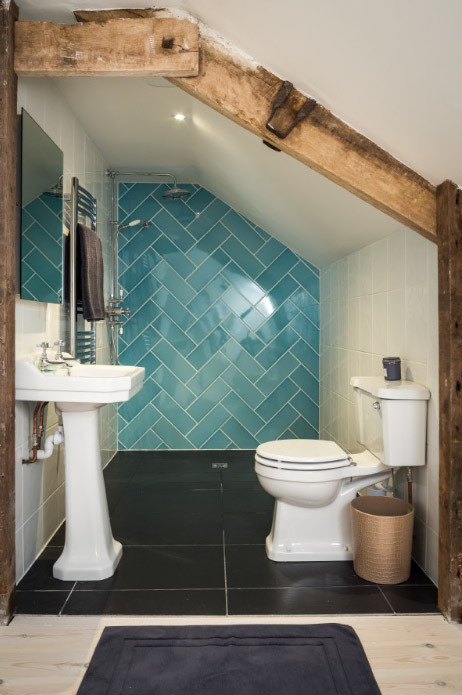 Recharge & Reboot at our stunning Boho Farmhouse in Somerset! Our Somerset health retreat offers the perfect location to detox your body and mind. 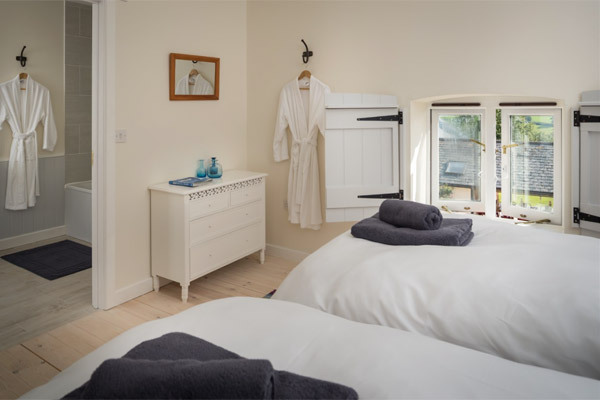 Our beautiful accommodation is located in the Devon/Somerset border and offers guests a sanctuary of style and the perfect location for our brand new UK health retreat. Following its success in Portugal, we have also chosen Somerset to include our new flexible programme to tailor your week to your needs and goals. For those looking to maximise weight loss or fitness we will still be offering our signature boot camp experience. Those signing up for this option will be expected to attend every fitness session which might including HIIT, boxing, circuits & hikes and enjoy delicious healthy meals prepared by our chef. For those who are looking for a more relaxing stay yet also wish to detox the body and mind we will be offering our juice detox programme where you will enjoy freshly made nutritious juices and a yummy soup in the evening. Our juice guests will also be invited to join any of the fitness sessions including yoga or enjoy a dip in the 15 metre heated indoor pool or perhaps simply enjoy a walk around the 100 acres of pastoral paradise surrounding our property. The rolling country vistas and fresh Somerset air is sure to rest and rejuvenate all those who stay. 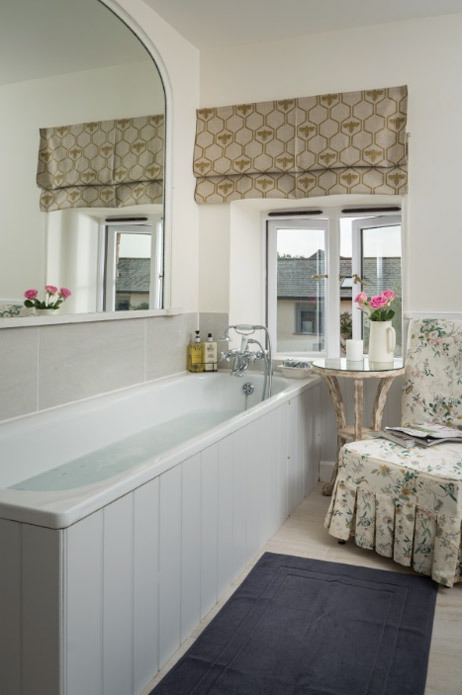 The property also includes free WIFI and a cinema and pool room and we have a dedicated massage therapist onsite. What's included in the signature Boot Camp? Whats included in the Juice Detox? Our weight loss results are proven and we have a solid 9 year track record helping thousands of people. All the planning throughout tyour stay is done for you so you can spend your time focused on the most important person - you! We will provide all the special touches to make your stay comfortable and memorable. You will not only come home feeling re-energised and re-charged, but also feeling inspired and on track with your weight loss and fitness goals. Join the other men and women who have found success with Prestige Boot Camp. Places fill quickly on our Somerset Health Retreat due to limited spaces so book now to ensure you don’t miss out on the fun. If you want a glimpse of what happens at boot camp have a look at our gallery No other fitness or boot camp gets the physical and psychological transformations that we can help you achieve. Our results speak for themselves as do happy clients, so be sure to check out their testimonials, along with our celebrity and press reviews. So what are you waiting for? Make an investment in yourself and your future, and book now. Fancy a health retreat abroad? Check out our stunning Portugal boot camp. Want to try a taster day first? Have a look at our London Boot Camp. 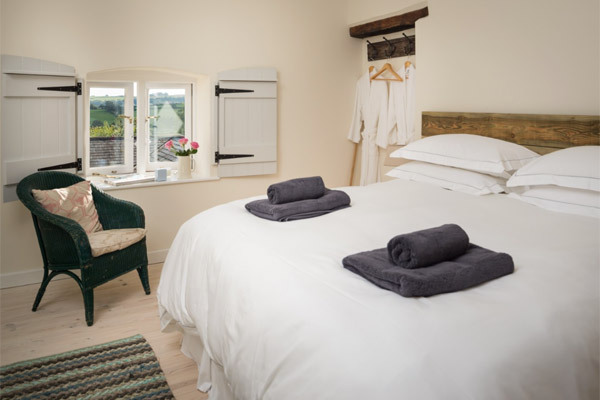 Your Somerset, UK health reterat offers luxury farmhouse accommodation near the beautiful village of Wellington on the border of Somerset. It is a secluded spot set in 100 acres of pastoral paradise with beautiful lakes, rivers and waterfalls to explore during your stay. 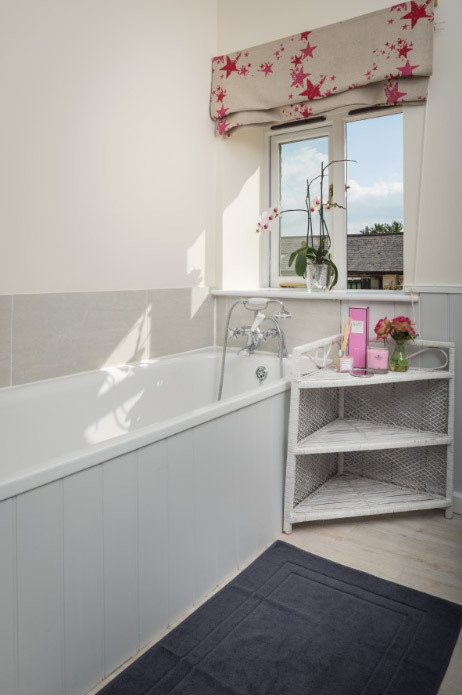 This unique property offers ten beautifully appointed stylish bedrooms over two floors, four of which benefit from their own en-suite shower facilities, and 3 further large bathrooms shared by the remaining 6 bedrooms all equiped with both showers and bath tubs. We have room options to suit all preferences and budgets. 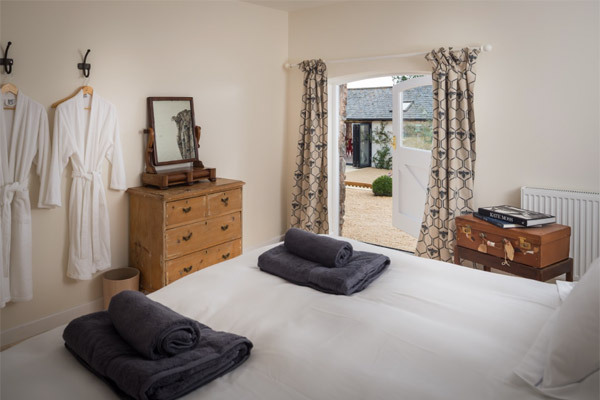 The farmhouse offers two large comfortable & cosy sitting areas with Freeview TV and Wi-Fi along with a cosy open fire for cooler climates offering the perfect chill out area for our guests. We have a fabulous 15 metre indoor heated pool which guests can enjoy at any time throughout their stay. 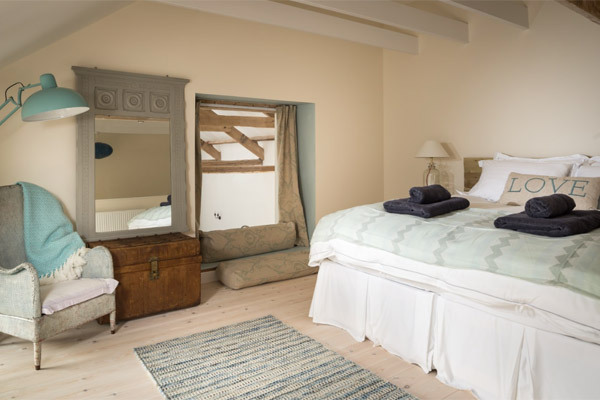 Our Boho Farmhouse is a stunning destination with a real wow factor for our UK health retreat in Somerset. Free transfers from the nearest train station are included in your retreat fee. The nearest station to Prestige Boot Camp in Somerset is Taunton Train Station. Direct trains leave London Paddington regularly with journey times of approx 1 hr 45 mins. Approx travel times from other cities include; Birmingham 2 hrs; Liverpool 4 hrs mins; Manchester 3.5 hrs. The pick-up time is 16:00 please arrange to be at the station for this time. On departure day we will drop you back to the station for 10:15. Please arrange your return fares to leave after this time. Post code for Sat Nav: TA21 0HP. You are required to be at this meeting point for 14:30 where you will be met by a Prestige Boot Camp representative. Secure parking is available on site. Exeter is the closest airport. If you are arriving by plane you will need to take a taxi to the property to arrive at 16:30. Check-out on departure day is 10:00. If you need to book a taxi transfer from the airport in advance please contact a local transfer company at the airport. On the final morning departure will be after a final fitness session, weigh and measurements, and breakfast. Please organise return train fares from 10:15 onwards. If you are departing by car you are free to leave any time before final checkout at 10:00. Please liaise with us for taxi transfers to the airport. We also provide a healthy packed lunch for your return journey. Where is the health retreat? The Somerset boot camp and juice retreat is set just over the border of Devon, in a lovely part of Somerset close to the village of Wellington. We want you to get whatever you want from the week. So you have the option to train whenever you like, but remember we are a residential retreat so everyone stays with us on our grounds. Exeter is the closest airport - approx 35 minutes by car. The retreat prices are per person and include all accommodation, food/drink/juices, training, fitness classes, equipment, activities and workshops. A 30% deposit is required to confirm your booking with the remainder payable 6 weeks before the course commences.